Decorated with an eye-catching pink-and-gold band, Rose of Sharon cigars from Southern Draw came about as a way for founder Robert Holt to say thank you to his wife, Sharon, for the role she's played in the company's success in the industry. 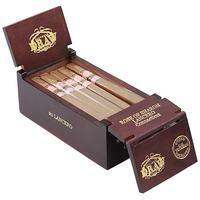 Fashioned at the AJ Fernandez factory, Rose of Sharon sticks feature a silky smooth Ecuadorian Sun Grown Connecticut wrapper encasing long-fillers from Nicaragua and the Dominican Republic. 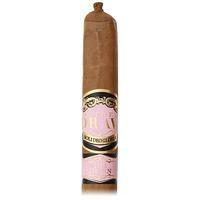 Boasting notes of leather, oak, and subtle spice, these cigars are the perfect, complex-flavored homage to Mrs. Holt and are offered here in the Lancero vitola.